The Kitchen cabinets are started and mostly in place today. Things seem to be flying by now that the house is dried in and the craftsman have some clear weather to work with. Today was another good day with a lot of the cabinet work now being completed. 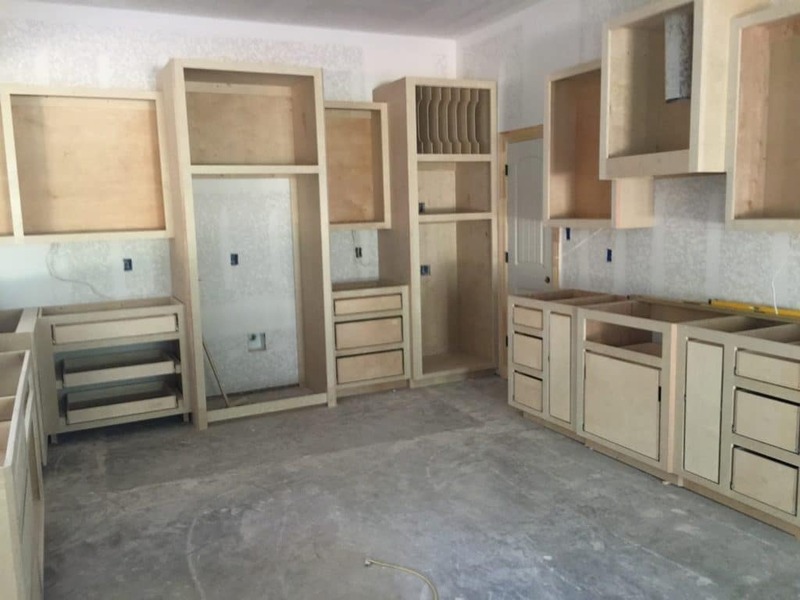 The bathrooms and other built-ins were completed at the beginning of the week. Here are a few pictures that show the new progress! 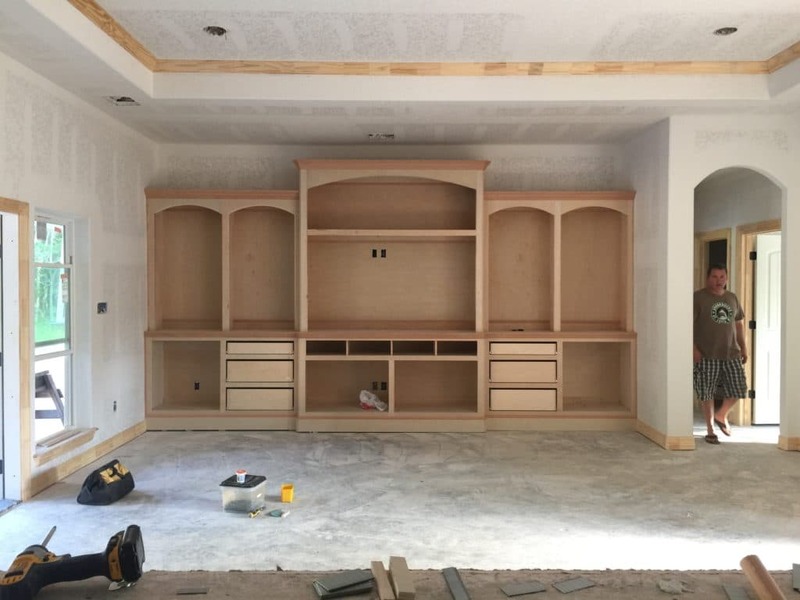 Living Room Built in with room for a 70″ TV – Now We just need a TV that Big! 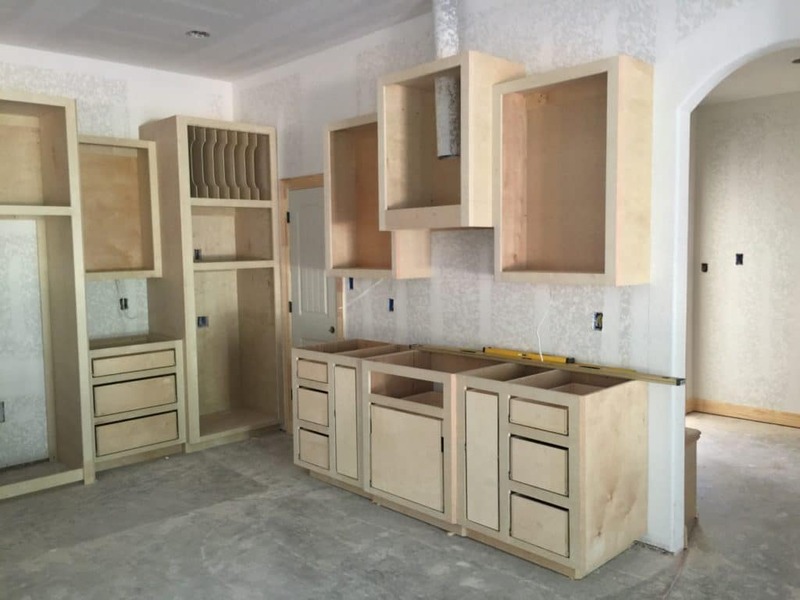 Kitchen Unfinished – No Island yet.